Hyperspectral imaging provides its users with a high-performance possibility to determine differences in the chemical composition of test objects. This technology opens up interesting applications in areas such as recycling or food production. Bergader Privatkäserei relies on state-of-the-art technology as well as traditional craftsmanship in the manufacture of its cheese specialities. A hyperspectral imaging system is being used for the first time for the packaging of the blue cheese ‘Bergader Edelpilz’. Take the opportunity to register for our CVB Technical Summit. You can look forward to two exciting days where you can share ideas with CVB experts and other users. With a mixture of presentations and hands-on sessions, we will present the new opportunities that Common Vision Blox can help deliver. STEMMER IMAGING is one of Europe’s leading machine vision technology providers for science and industry. The perfect combination of innovative products, intelligent consulting and extensive service helps our customers solve their imaging projects with speed and ease. Our experienced specialists are available to you in 19 European countries like in Sweden ensuring easy contact and optimum local consultancy service. The new BOA Spot XL and XLE smart vision sensors from Teledyne DALSA bring even more versatilty for error proofing, identification, general inspection and robotic guidance applications in manufacturing. 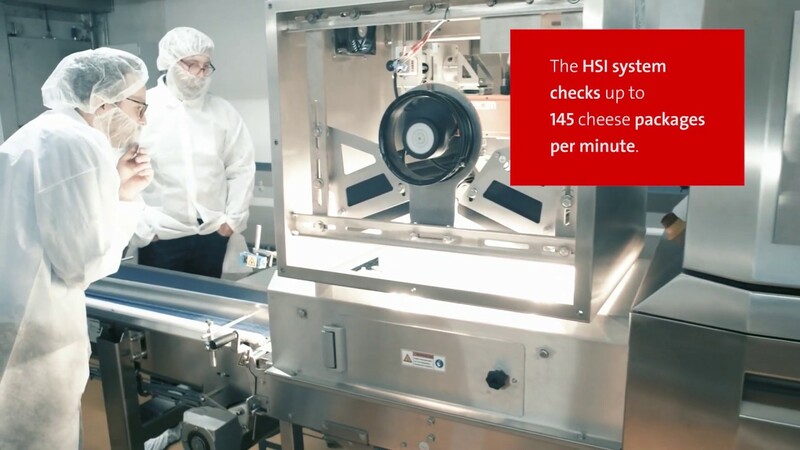 These new models offer more features than previous models, allowing an even wider range of automated inspection and identification tasks to be performed, yet retain a highly competitive price point. STEMMER IMAGING, one of Europe’s leading machine vision technology providers for science and industry, has signed an agreement with Canon Europe for the distribution of the renowned Canon professional camera and large format lenses portfolio into the industrial imaging marketplace across Europe. This new partnership is focussed primarily at making it easier for the industrial market to take advantage of Canon’s high-performance EF format lenses. To achieve this Canon will share detailed technical lens data to STEMMER IMAGING making it possible to apply its extensive technical expertise to provide fully engineered machine vision solutions containing Canon lenses. Automation technology and machine vision are increasingly merging. Our press agent Peter Stiefenhöfer discussed this exciting development with Peter Keppler, Director of Corporate Sales at STEMMER IMAGING. Take the opportunity to get an overview of current trends in hyperspectral technology, exchange ideas with experts and expand your professional network. For us, partnership goes further than the perfect combination of trusted technology and innovation. We work with you to create an optimised solution that meets your needs perfectly. We call this VISION. RIGHT. NOW.